This poncho is crocheted in a unique star shaped pattern with removable silver charms at the points. The yarn is ivory with light blue, brown and tan accents. 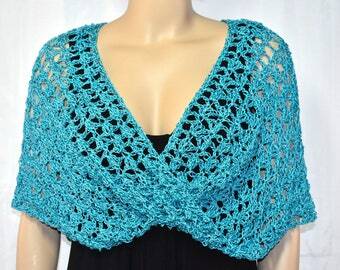 The poncho would look fabulous over a dress, halter, tank top, or swim suit. It will surely attract attention where ever you go! 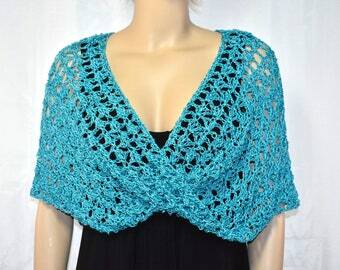 Crocheted with silky rayon ribbon yarn. It's light weight and drapes beautifully. 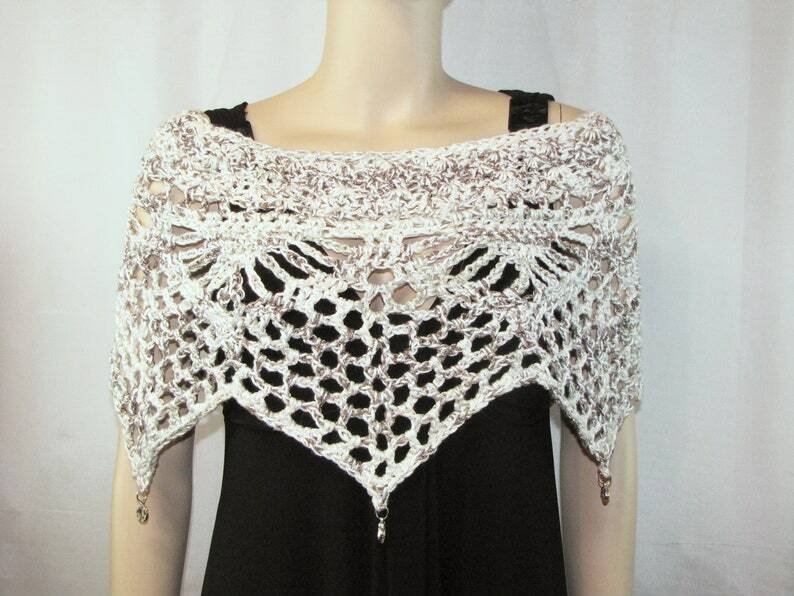 This poncho is a misses / ladies/ women's small to medium size (misses sizes 6 - 10). It's 17 inches at the neck opening (34 inch circle) and 52 inches around the bottom. The star points measure 16 inches long from the top, including the length of the charm.